The ‘D’ Word is a nitroBEAT and Barbican event in association with the Unicorn Theatre, Theatre Royal Stratford East, Soho Theatre, In Between Time, Tamasha and Tricycle Theatre. 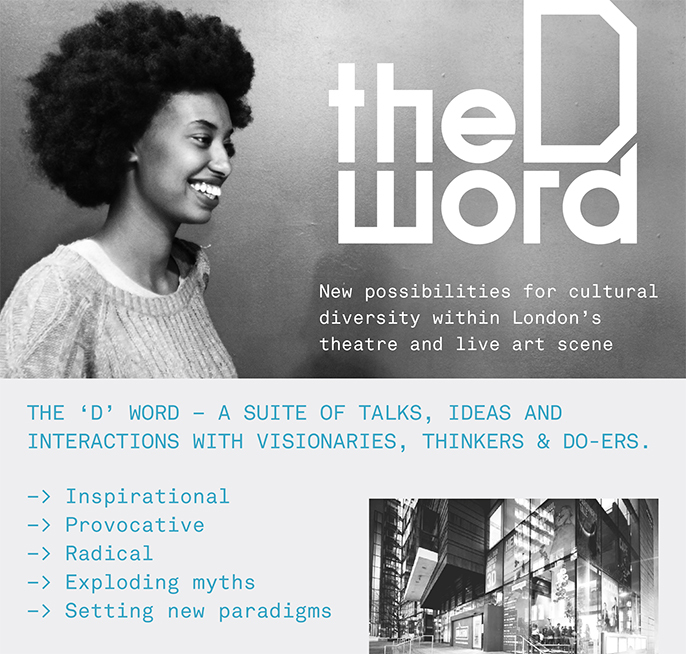 The 'D' Word is a dynamic antidote for 'diversity issues fatigue' that aims to re-ignite conversations that build and sustain excellence and cultural diversity within theatre and live art. This daylong event will bring together artists, arts organisations, policy makers and funders to share ideas and develop ways to collaborate that support creative voices which truly reflect London’s diverse talent and audiences.